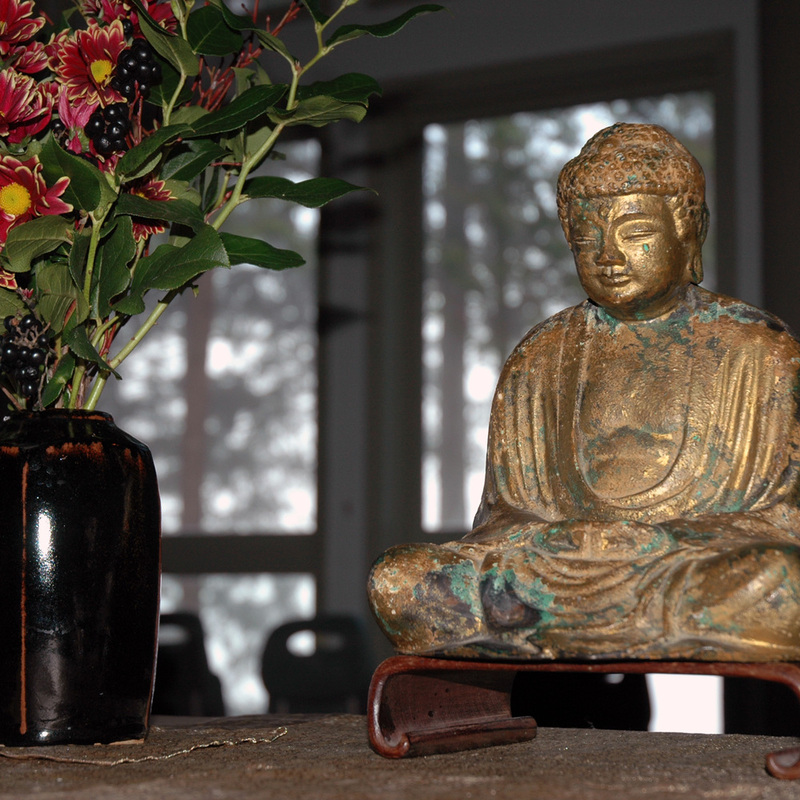 Mountain Rain Zen Community offers opportunities for more intensive practice and study. Both residential and non-residential retreats are offered throughout the year. About eight times a year we have Sunday half-day retreats, 9:00-1:30. These retreats are a good way to get a taste of a Zen retreat experience. They include zazen, kinhin, dharma talk, service, and work period. A simple vegetarian lunch is served. By donation. No registration required. It is fine to attend as much of the retreat as you are able to. Mountain Rain holds several daylong and weekend retreats through the year led by our Guiding Teachers and one weekend retreat led by our Founding Teacher. Mountain Rain holds a yearly 6-day residential sesshin (intensive retreat) in November at Loon Lake Retreat Centre in Maple Ridge, BC, and a 4-day sesshin in July at Sea to Sky Retreat Center in Squamish, BC, and a 3-day women’s retreat at the end of May at Sea to Sky Retreat Centre. Sesshin is an important way to deepen your practice, taking up the ancient monastic forms that guide us through the cycle of each day. We all participate not only in meditation practice, but in cooking, cleaning, and eating with traditional Zen oryoki (three bowls).